Coming into the season, I had somewhat serious debate with myself whether I’d rank Jose De Leon ahead of Julio Urias in my prospect rankings. While that didn’t happen, the fact I even considered it — even slightly — just shows how much De Leon has grown as a prospect since being drafted. So, when the Dodgers had the rash of injuries to the pitching staff (and overall, honestly) and De Leon has yet to make his Major League debut, it’s a head-scratcher on the surface. But when you drill down a bit, it makes some sense. Let’s go back to spring training, when De Leon got his first taste of MLB baseball in the form of a non-roster invitation. He appeared in three games and allowed five runs in six innings. Not overly concerning because it was spring training and all. Then, he missed the first month of the season with an ankle injury. It was a bit surprising and a built-in way to limit his innings early in the season. He made his Triple-A debut on May 3 and was dominant: 5 IP, 2 H, 0 R, 0 BB, 9 K. But a sore shoulder put him back on the shelf for another month. So, through the first two months of the season, De Leon had all of five innings pitched (and 11 since the beginning of March). The injuries (shoulder more than the ankle) and the lack of workload are the biggest reasons De Leon fell behind guys like Brock Stewart, Ross Stripling and Urias on the starting pitcher depth chart. If he had been completely healthy at the end of March, he might have gotten the nod ahead of Stripling. On the field, De Leon has performed relatively well. He owns a 29.4 percent strikeout rate and a 7.6 walk rate with the Oklahoma City Dodgers so far this season. The strikeout rate is down from earlier this season, thanks to a 3-start stretch from July 25 through Aug. 6 in which he struck out just seven of the 64 batters he faced (10.9 percent). If you exclude those starts out, he has a 35.3 percent K-rate, but the mini-streak just seemed like a case of slight regression and things evening out. The results, while good, have come with some diminished velocity. De Leon topped out at 96-97 MPH last season and sat more in the low-90s. This season, he’s not getting near that velocity and is sitting more in the high-80s to low-90s. With good command, it isn’t that big a deal, but De Leon is much more effective when he’s working at his normal velocity. Some have said he lost a little too much weight in the offseason, which resulted in losing a couple MPH on his fastball. It’s ironic because after De Leon was drafted, his conditioning was questioned by former Dodgers’ vice president of player development De Jon Watson. The last reason why De Leon hasn’t been promoted to start in the majors is the 40-man roster crunch. The Dodgers have 48 players on the 40-man roster — meaning, there are eight players on the 60-day disabled list. Because of that, they don’t officially count toward the 40-man roster limit. 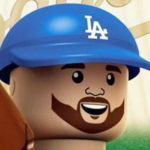 The eight players are Andre Ethier, Yimi Garcia, Chris Hatcher, Clayton Kershaw, Hyun-Jin Ryu, Trayce Thompson, Chin-hui Tsao and Alex Wood. Of the eight, only one is a guy the Dodgers would remove from the roster is Tsao. The other seven are guys who would not be designated for assignment to make room for De Leon. And some of these guys are slated to come back in September (namely Kershaw and Wood), meaning there’s not a lot of roster flexibility to add De Leon — who might not even be much of a factor come September if he’s just pitching out of the bullpen. A lot will depend on how Brett Anderson fares in the next couple weeks and if Brandon McCarthy can get his situation sorted out. If so, then there’s absolutely no room for De Leon to make any kind of impact on the team for the rest of the season. De Leon has a bright future, but he also has some things to work on for the remainder of the season in the minors. He is also the unfortunate victim of the numbers game. But this won’t be an issue in 2017 (no matter which organization he’s playing for), as he’ll need to be added to the 40-man roster over the winter to be protected from the Rule 5 Draft. It makes sense that we haven’t seen De Leon in the majors this season. It’ll make sense if he doesn’t make his debut until 2017. At the same time, he could very well get a September call-up … but I’m not putting any money I care about on that possibility.